The US mastermind behind ‘Caroline’ is scheduled to perform at The Mill on February 17th. Adam Aminé Daniel, known in the charts as Aminé, is bringing his unique and creative verse to Birmingham with a once-in-a-lifetime gig at newly launched The Mill in Digbeth this February. TourPointFive will showcase hits from the similarly named OnePointFive, Aminé’s second studio album released in Summer 2018. Expect an upbeat performance, complete with goofy dance moves, and half-sung, half-rapped catchy lyrics. OnePointFive follows the success of his debut album Good For You, which was described by New York Times as ‘one of this year’s most intriguing hip-hop albums and also a bold statement of left-field pop’, and sold 13,000 copies in its first week. 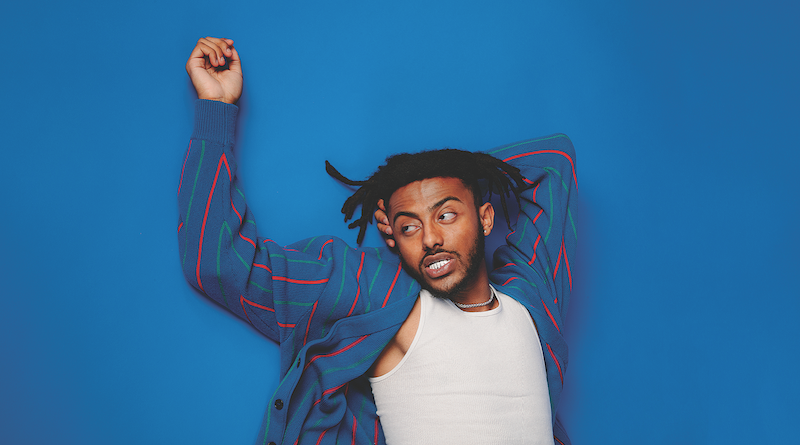 Born and raised in Portland, Oregon, Aminé became a known name in the rap world in 2016 with his hit single ‘Caroline’ which peaked at no 11 on the US Billboard Hot 100 chart.